Are you tired of tossing and tumbling in bed every night? When counting sheep doesn't deliver the goods, try Sleep Essentials – the magic sleep formula of Swanson. 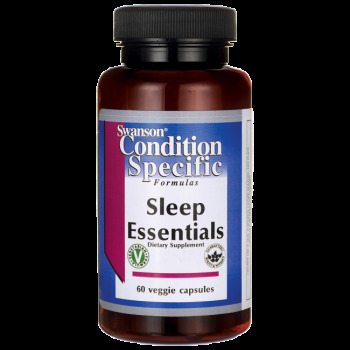 This leading-edge formula puts melatonin, taurine, and GABA together with the most efficacious relaxing and calming herbs found in nature, including passion flower, valerian, chamomile, skullcap and hops. 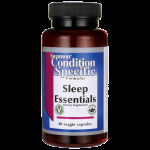 Directions for use: As a dietary supplement, take one capsule at bedtime with 8 ounces of water. 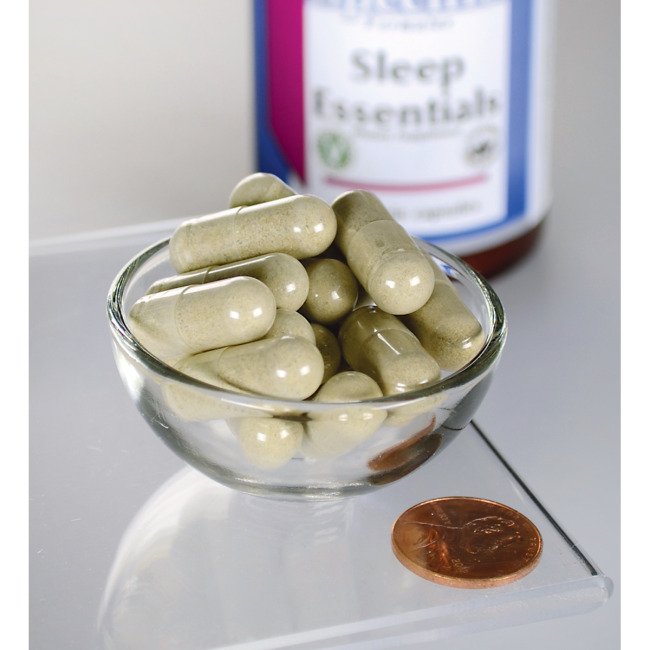 WARNING: May cause drowsiness! Do not drive a motor vehicle or operate heavy machinery after taking the supplement. Do not take this product if you are pregnant or breastfeeding, if you suffer from an autoimmune condition or depressive disorder or are under 16 years of age. 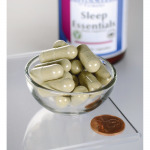 If you are on prescription medications, especially sedatives or tranquillisers, consult your physician before use.